It’s hard to make a name for yourself in the entertainment world and still live in the Midwest, so it’s no wonder Daniel Powell and Elizabeth Rohrbaugh headed to the coast in pursuit of media fame. Powell and Rohrbaugh made the move separately, but they both grew up in the suburbs of St. Louis. The two will soon be back in town for the St. Louis International Film Festival with their new movie “Becks.” Before the film shows in front of its first St. Louis audience this Saturday Nov. 11, I was lucky enough to chat with Powell and Rohrbaugh to learn more about their experiences and connections to St. Louis. 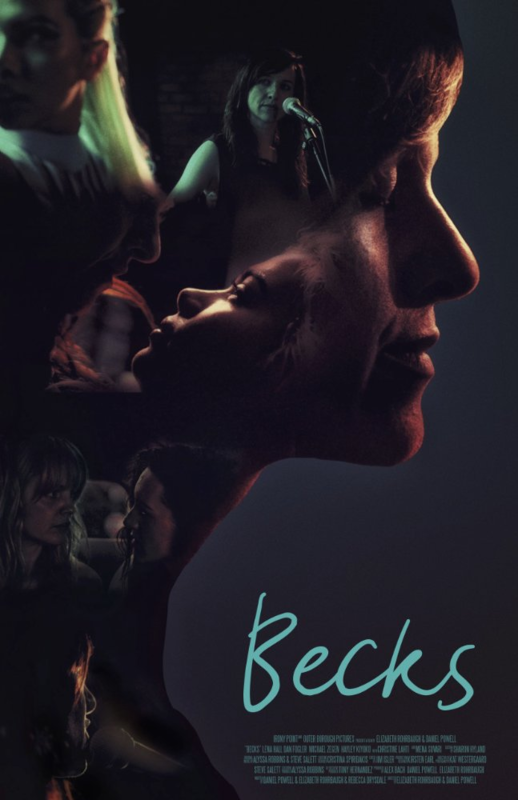 “Becks” is the story of a woman who quits her job and drives across the country for her girlfriend only to be thrown into the throes of heartbreak. This despair leads the title character back to her hometown of Maplewood, Missouri (or thereabouts) where her mother is still living. When asked about the filming locations, Powell and Rohrbaugh expressed disappointment they didn’t have the means to film on location. Though Powell and Rohrbaugh have experienced success in television – Powell has even won an Emmy for his involvement with the show “Inside Amy Schumer” – “Becks” was their first dive into filmmaking. 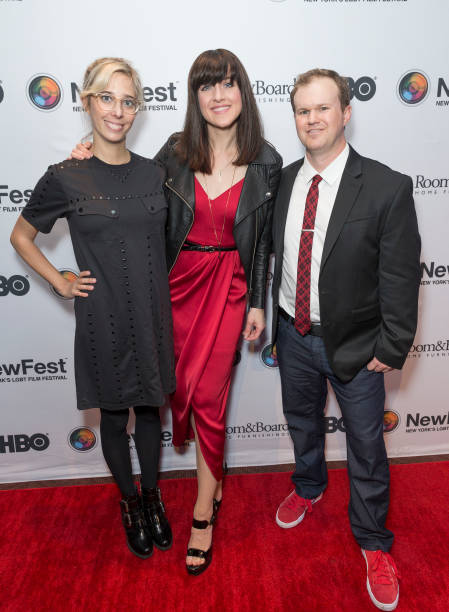 “Becks” co-directer/writer Elizabeth Rohrbaugh, star Lena Hall and co-director/writer Daniel Powell attending NewFest in New York. “Liz and I have both worked for Viacom for most of our careers, so it was nice to be free of all the crap that comes with working for a major conglomerate,” said Powell. He then added that you do take for granted all of the resources major conglomerates offer like legal teams and financing, which was something the two had to navigate on their own with this project. Overall, the two said they really enjoyed the experience of making a film even if there were some challenges. One of the things that made it easier was working as a team in the roles of director and writer. Their teamwork also made the St. Louis setting really easy to portray. The two joked about the quintessential St. Louis question, “Where did you go to high school?” which audiences are sure to enjoy and find hilarious when they watch the film. These hometown ties are also what inspired the story in the first place. Rohrbaugh revealed the story was influenced by a friend and musician named Alyssa Robbins who went through a very similar experience to the film’s title character. In fact, with the exception of two songs, the music in the film was also from Robbins, “All of this music is actually, like, her real break-up music,” Rohrbaugh said. This comes as no surprise because the music featured in the film felt way too perfect to just be randomly selected. As I listened to Rohrbaugh explain the story’s genesis, I couldn’t help but think about how impossibly perfect it was for all of these events to match up, and how these two individuals from St. Louis managed to meet later in New York only to create something that took place back home. It’s a weird bunch of coincidence, but thankfully, these two were brought together to make a great feature that will serve as an admirable debut. For more, like “Becks” on Facebook here. Follow the St. Louis International Film Festival here. Elizabeth Rohrbaugh, Lena Hall and Daniel Powell attending NewFest.